Environmental activism in China in recent years has mostly focused on air pollution. In some of China’s cities the air tends to be filthy, while the water is clean. In the country’s rural areas, the opposite appears to be true. According to a study reported by Chinese media, more than 80% of the water from underground wells is not safe to drink or bathe in because of heavy contamination. An earlier report by the Ministry of Water Resources said that of 2,071 wells, nearly half had “quite poor” water quality and 36% had “extremely poor” water quality. A more recent report covering Northern and Central China found that 80.2% of water from wells could only be used for industrial purposes. 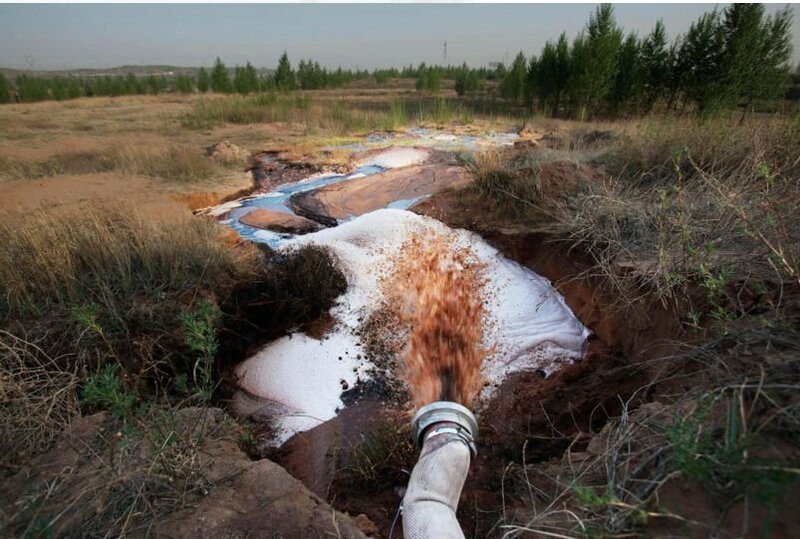 China gets about 20% of its water from underground sources, so any level of contamination endangers large numbers of people. In cities, citizens depend on deep reservoirs that are protected from surface-level pollution. In rural areas, however, water sources tend to be closer to the surface and are vulnerable to industrial runoff from factories and farming. Environmental activism in China in recent years has mostly focused on air pollution because some cities, especially Beijing, were becoming blanketed in unbreathable smog. Now the scope of activism has expanded. The state media's recognition of heavy water contamination is a sign that the country is likely to take some form of action to curb the problem. More and more the rapid pace and enormous scale of China's development over the past 30 years is bumping up against environmental hazards. In the short-term China is looking to minimize the harm of water pollution by digging deeper wells that contain safe water. But all wells are finite and there won't be enough deep wells in every region to satisfy the enormous demand of the Chinese population. Meaningfully addressing this problem has to include stringent environmental regulation. There's no excuse for industrial runoff ruining any amount of drinking water, let alone the vast majority of sources. There is good news, though. The "environmental awakening" of the population after decades of industrialization has led to protests throughout the country against the building of power plants, chemical plants and similar developments. It has become the single biggest cause of social unrest, especially as food and water supplies have been revealed to be dangerous. And this unrest from the bottom is spurring action at the top. On April 22, world leaders will convene to ratify COP21, the most ambitious environmental agreement of all time. China has committed to invest heavily in renewable energy and shift away from a fossil fuel economy. This might seem limited to air pollution, but the environment is interconnected. Improving one aspect of the environment inevitably improves other aspects. And there's no reason to think that China's environmental action will end at cutting back on coal and oil. After all, the country needs safe food and water as well.